Psystar offers Mac Clones | Tech for Lunch! There is something new brewing in the world of computing. The Florida-based company, Psystar, offers a computer that can run any operating system, including Apple’s Mac OS X. 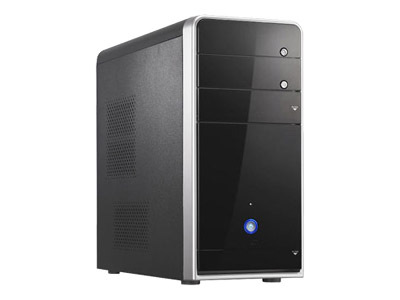 This is the Open Computer, which is offered in two versions, the basic, starting at $399 and the Pro, starting at $999. In other words, Apple clones are now available. Historically, the Mac community has been able to evolve in a closed environment. But starting a couple of years ago, Apple computers were equipped with Intel processors, which facilitate the lives of people who specialize in everything that surrounds the industry of cloning and copying. Of course, Apple’s lawyers are probably already on the case. One can assume that Steve Jobs has already declared war on these new clones. In its advertising, Psystar insists that their computers allow the users to operate Macs at a fraction of the price, since the Mac basic costs at least three times as much, with far fewer components and performance. The Operating system that you choose to install (or get installed) is up to you and Mac OS X may be a bit more expensive, but with such a low machine price, you’re still way under Apple’s prices. Theoretically though, it is forbidden to run this Mac OS X on any device other than those made by Apple. The only potential problems I see with these are the availability of device drivers if you decide to change some hardware in your machine or add some components…and perhaps the availability of patches which might refuse to install if they notice you are not running genuine Apple hardware. Anyway, it will be interesting to see Apple’s reaction in dealing with this intrusion into their world. Can Apple legally prevent manufacturers from making hardware that is capable of running their software?